Dubai, UAE, October 15, 2018: Scuderia Ferrari proving simple design for a gift set is never boring with the ASPIRE collection watches. Aspire is the new racing-inspired watch that every Ferrari fan will be proud to wear. Distinguishing details include the bezel, which is decorated with racecar-style bolts and the accessory is finished with a sophisticated red silicon wrist strap. 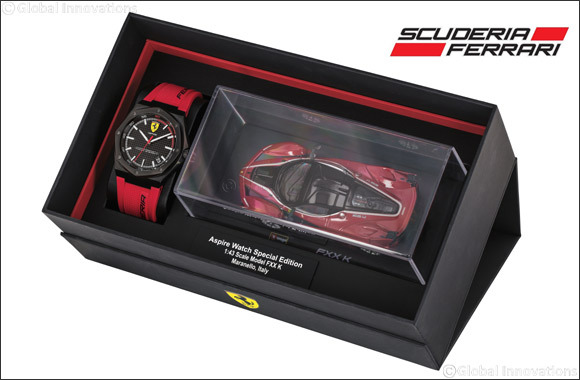 This Ferrari collection watch is priced at AED 815 and comes along with Bburago 1:43 scale collectible car. It is available at all Rivoli stores and Hour Choice across the UAE.